And on the other side . . .
You could say that again. 1935 solos by the Master. 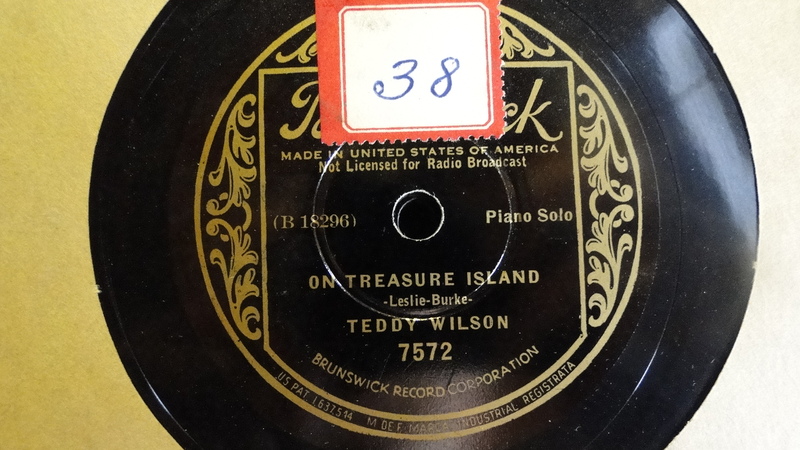 These discs were in a cardboard album labeled PIANO / WILSON and OTHERS — and the original owner had handled them tenderly. I did have to search through more than a hundred more popular records from the late Forties and early Fifties to uncover these, but a little Perry Como never hurt anyone on a mission. and her cousin . 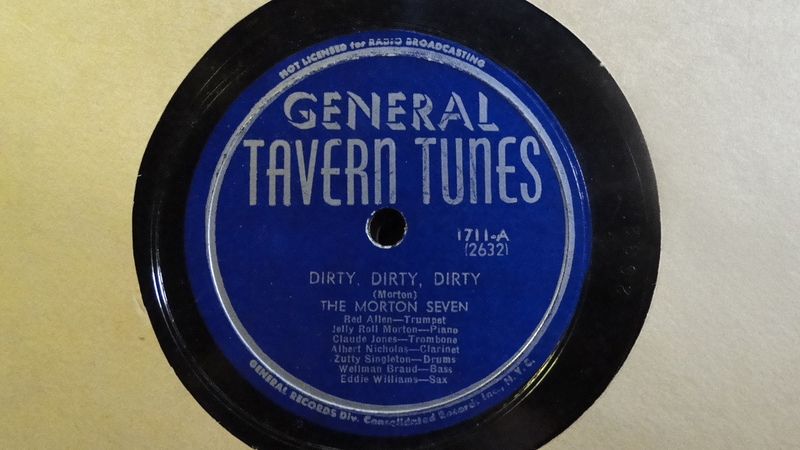 . .
And now for something completely different — Tavern Tunes! 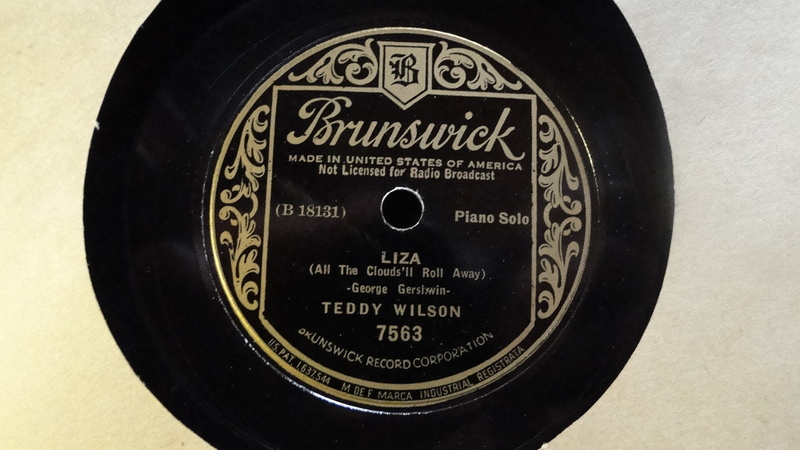 How about some big band classics? 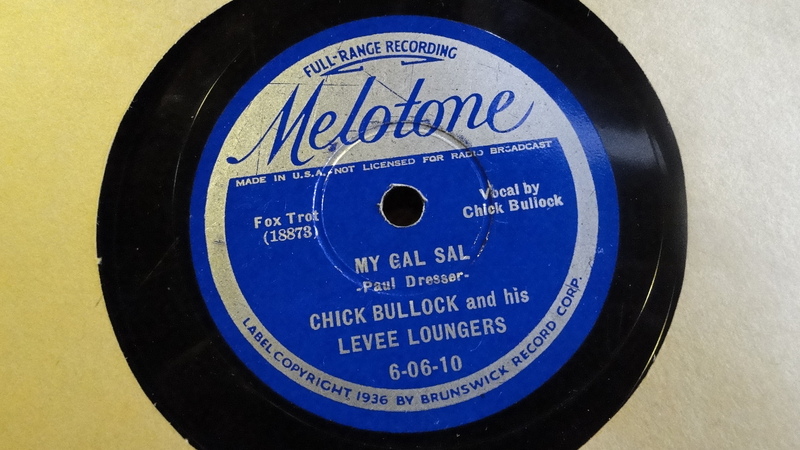 On SAL, Chick sings the verse (new to me) and there’s a bright short solo by Jack Jenney. No, I don’t quite believe that this happened, either. But I am enjoying the experience as well as the music. Posted in "Thanks A Million", Bliss!, Generosities, It's A Mystery, Jazz Titans, Swing You Cats!, That Was Fun!, The Real Thing, The Things We Love, Wow! 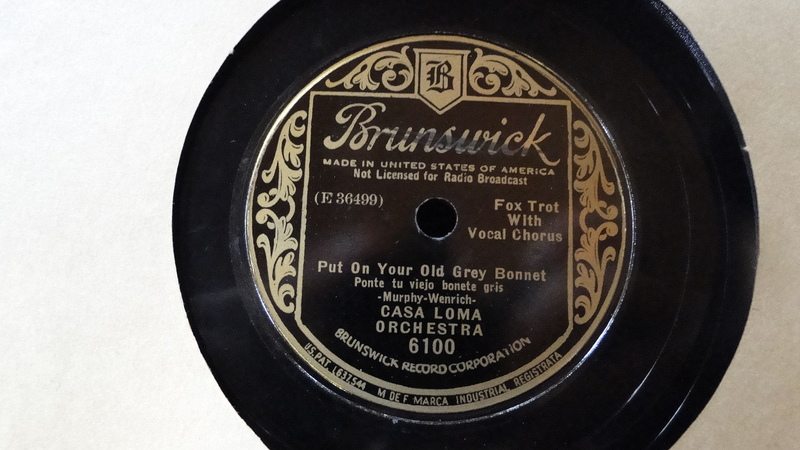 I am always moved by the wistful optimism of the song and the beauty of Bing’s voice — and the way that this performance has its own satisfying dramatic shape, moving from song to recitative to whistling. It’s a very compelling performance, and it always reminds me that one’s troubles can be made to vanish if you gently wrap them in dreams. The lyrics also suggest that there is a limitless supply of dreams in the universe — always a good thing to hear. 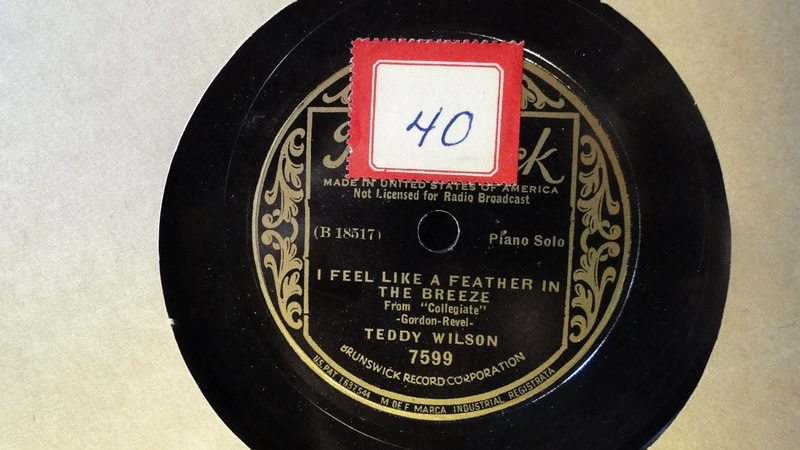 You will notice that the YouTube video begins with a close-up of a lovely record label — what collectors call a “buff Bluebird,”very attractive in itself. 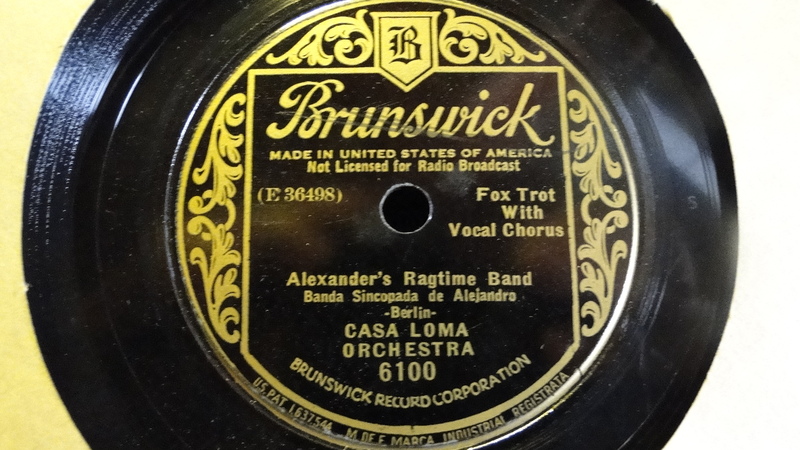 Bing recorded the song in 1931 and the record seen here is from mid-1937. A few days after we had published our blogposts, the Beloved spotted a Goodwill store we had both delved into in 2011, always finding treasures. We went inside, elated and curious, and threw ourselves into the treasure hunt. I found a spectacularly bold Hawaiian shirt; the Beloved found her own prize. 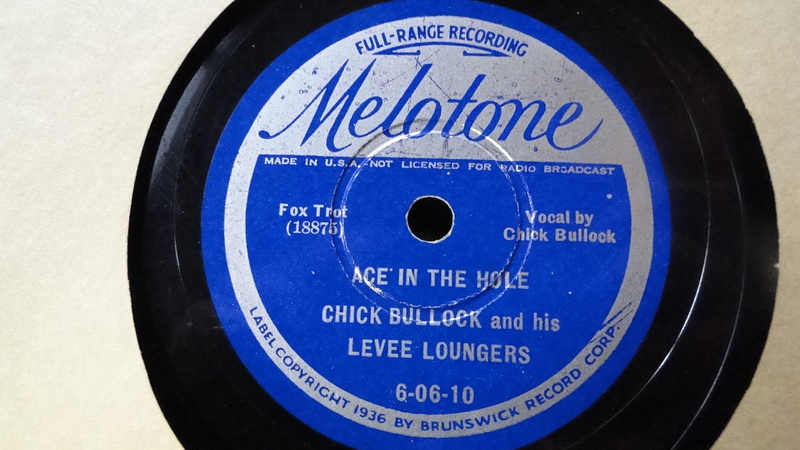 I remembered that in 2011 I had bought a half-dozen late-Twenties records there, so I knelt on the floor among scattered 78s. 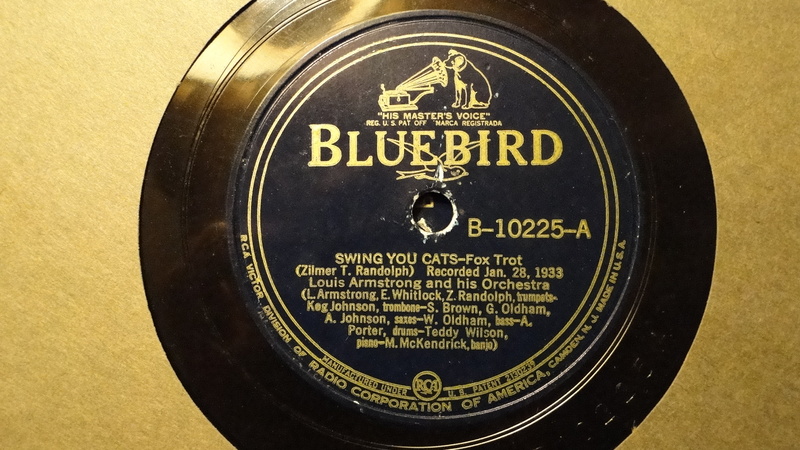 I opened one of the ten-record brown cardboard albums and saw a buff Bluebird label. 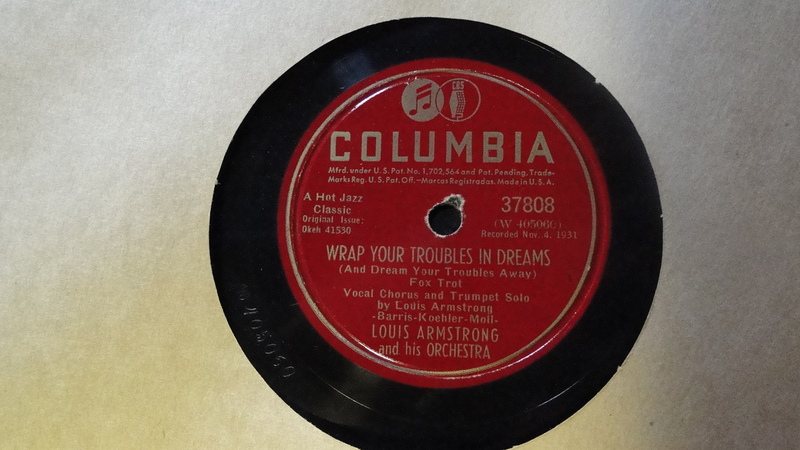 Expecting nothing remarkable, I drew out a well-preserved copy of Bing’s WRAP YOUR TROUBLES IN DREAMS, a record I had never owned. It is a cliche to write, “My mouth fell open. I was speechless,” but it was true. Carefully I put the record into a paper sleeve and, holding it behind my back, went over to the Beloved and said, quietly — in the presence of Mystery — “You won’t believe this.” And we marveled at the artifact that had appeared to us. The object and its suggestive powers are both powerfully in our thoughts. If you like the mathematical: what are the chances that a piece of fragile, breakable shellac would emerge intact after seventy-five years? What are the chances that it should appear to us, who had been humming and singing and thinking about that song for the days immediately before? I could hypothesize that Someone or Something put it there for us to find, as a little gleaming light on the path, or The Path. Since I believe that the dead know what is going on on this planet, I could — with some quiet amusement — think momentarily that Bing had arranged for it to be there. I could even entertain the possibility that it was there as a reward in a universe where such synchronicities are all around us if are hearts are open to them. 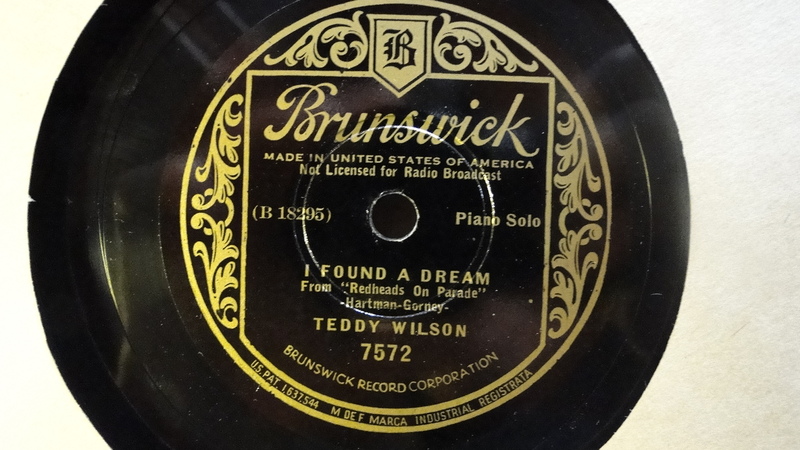 I could turn the whole idea on its head and think that this disc was the starting point for my journey and the Beloved’s, that we had thought of the song and written our posts because the record was waiting to be found. I think it meaningful that the disc appeared in a place called GOODWILL, where many less fortunate people come to shop — their troubles larger than their abilities to dream them away. All the omens, including the hopeful Bluebird, augur well. 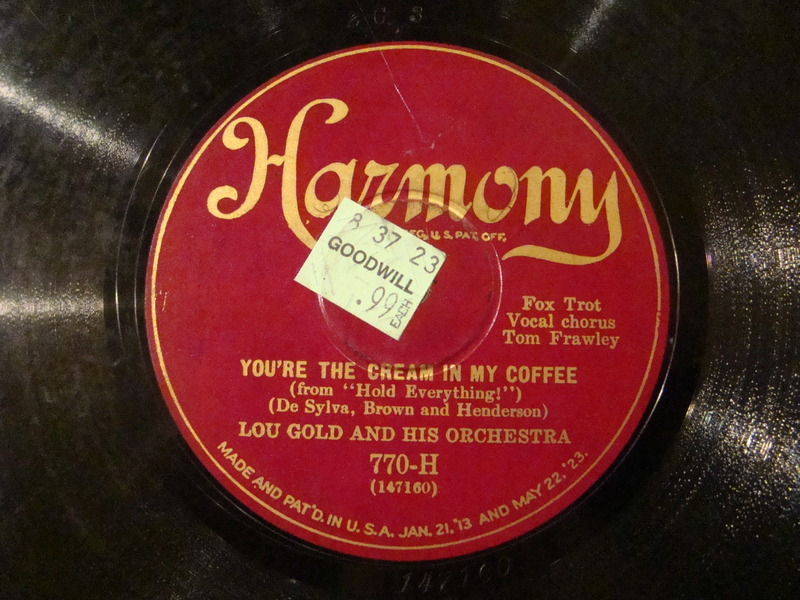 The other side of the 78, and I think not by accident, is an Irving Berlin song called THE LITTLE THINGS IN LIFE. Ponder that. And while you muse and dream, please listen to Mister Crosby. I send thanks to Bing, to Harry Barris, Ted Koehler, Billy Moll, David J. Weiner. I hope to spread Goodwill through JAZZ LIVES. May your troubles be small. May your dreams be powerful. 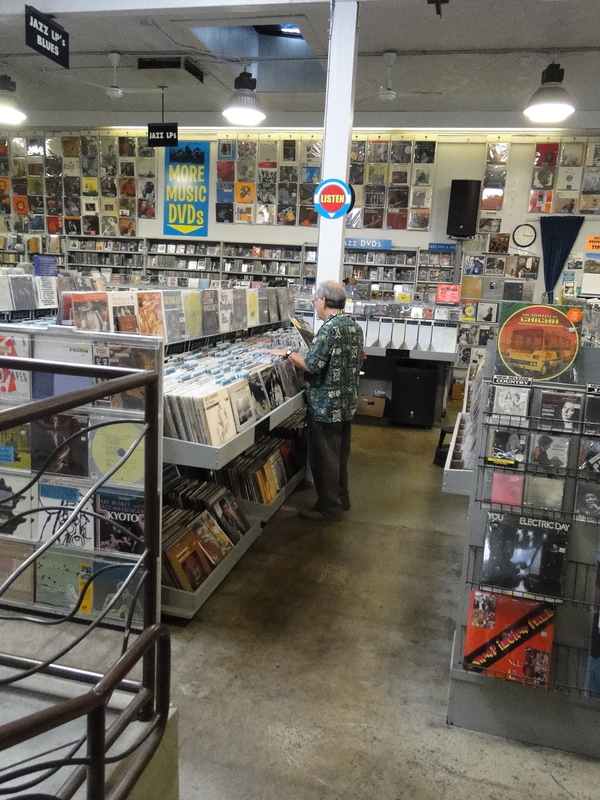 Whenever we go into an antique store, thrift store, Goodwill or the like, I hope that there is a pile of records. Most often the results are drab: the Dean Martin Christmas Record, the Hollyridge Strings Play (fill in the blank), 12″ disco hits. 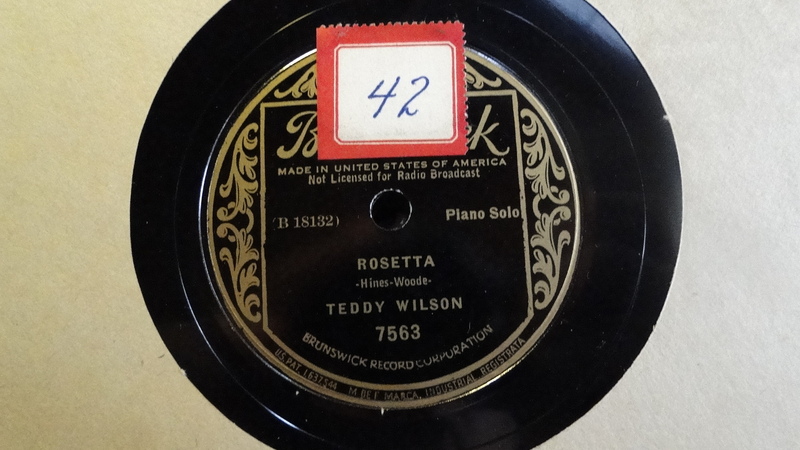 When there are albums of 78 rpm records, often they are middle-of-the-road classical sets, early Fifties red-label Columbias and Deccas. 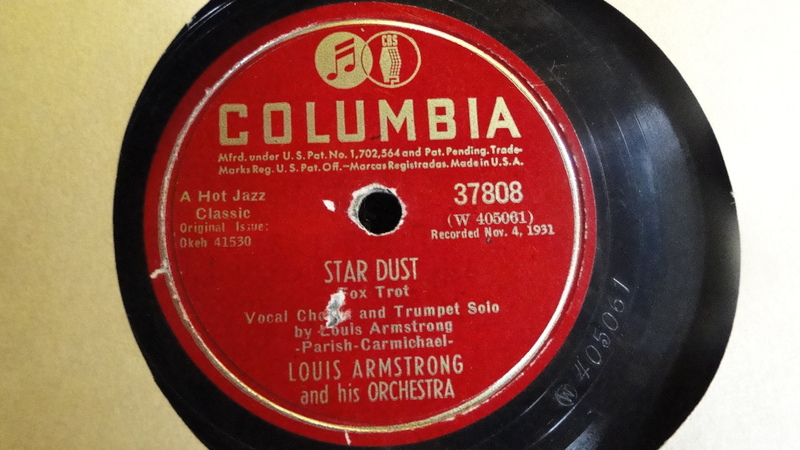 Something like a sunburst Decca Bing Crosby or a canary-training record is a bombshell in the midst of this assortment. Who knew that the wine country and environs in Northern California would be so full of possibilities? Mind you, no Gennetts or Paramounts; nary a Steiner-Davis in the lot. But I want to report two successful treasure hunts. (An older generation used to call this “junking,” but somehow the name — to me — suggests pawing through piles of trash. 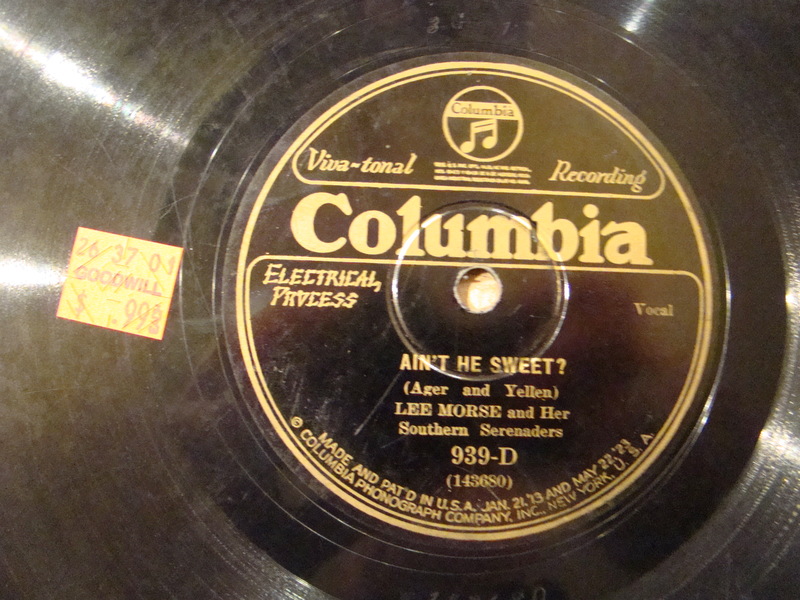 Here are the gems (ninety-nine cents each plus tax) from a visit last night to the Goodwill in Petaluma, out of a plastic crate full of 78s that, for the most part, were either pre-electric or postwar pop. That’s a perfectly amiable dance record, neatly played — but for someone like myself waiting for Jack Purvis to make himself known in the next-to-last bridge, a bit of a letdown. Still, it serves as a reminder of just how much we should value those hot interludes, because they didn’t appear at every session. 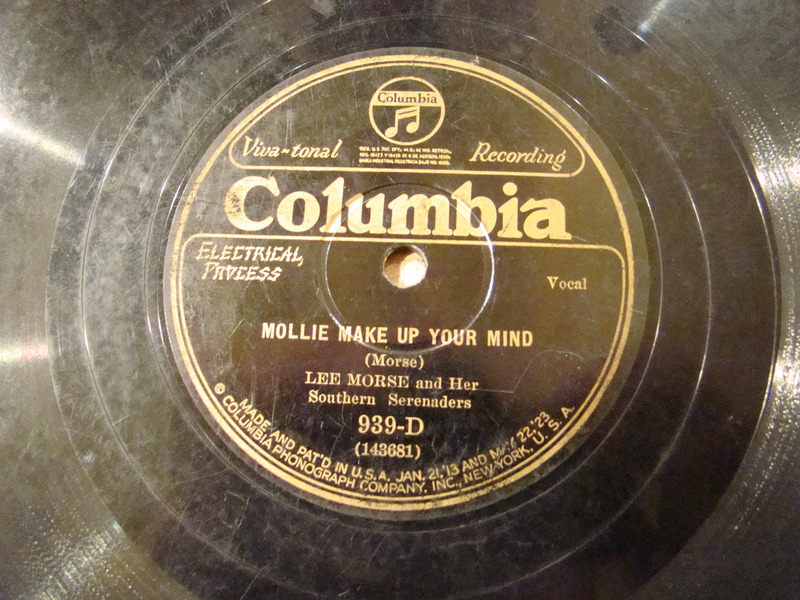 And it’s testimony to Miss Morse’s stardom that she was able to change the lyrics of this pop hit to be gender-appropriate, something few artists could do at the time. 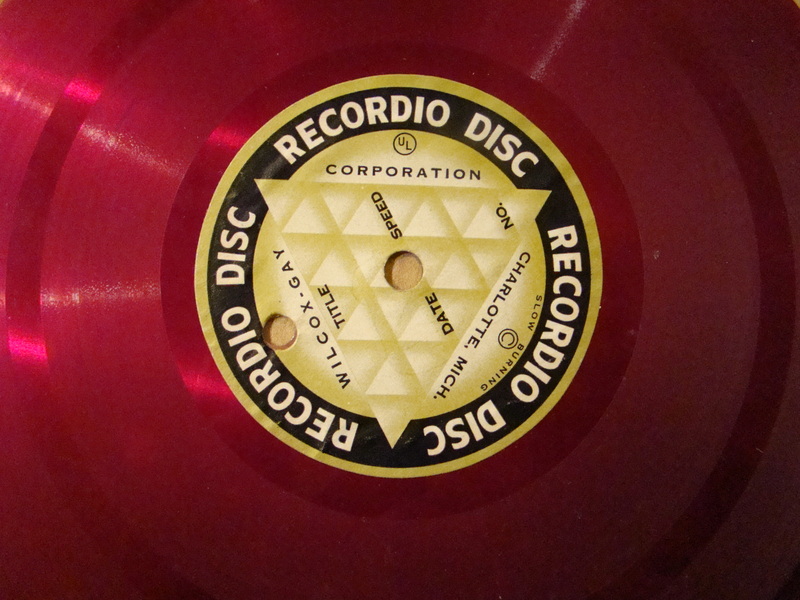 These are eight-inch home recording discs, with five of the six sides grooved — three of them divided in two. 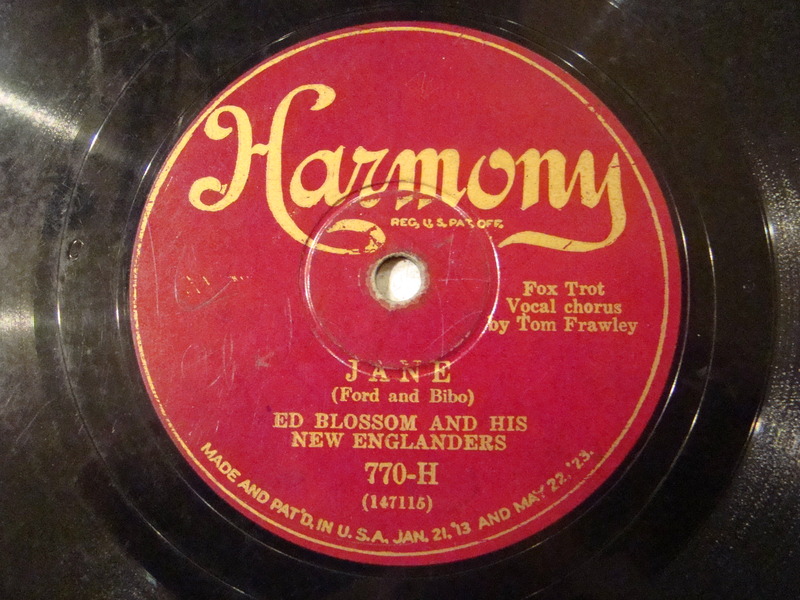 None of the discs has any writing on the label, and the store did not have a three or four-speed phonograph, so I paid my money and live in hope — or in Emily Dickinson’s “Possibility.” What are the odds that these discs contain recordings of a 1943 after-hours jam session? Slim, I admit. More likely they are someone playing LADY OF SPAIN or Grandpa’s speech to the Rotary Club. (In past encounters, I’ve seen those discs — Sister Susie’s hymn recital.) But one must take risks in this life . . . ! The prize that accompanied these discs was the paper sleeve for a ten-inch Recordio disc — it was also in the pile, but blank and with the coating eroding and cracking. 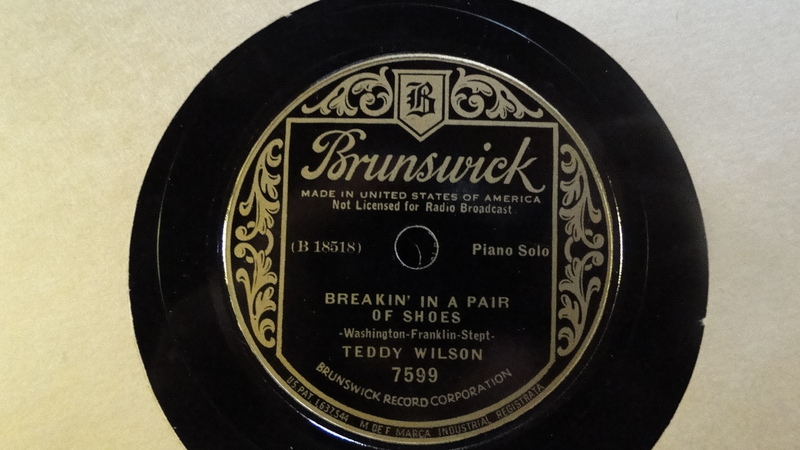 But you should know that RECORDIO DISCS were manufactured by Wilcox-Gay (of Charlotte, Michigan), and that they were ALUMINUM BASE, PROFESSIONAL QUALITY — meant FOR THOSE BETTER RECORDINGS. If there’s exciting news in a few weeks when I place these RECORDIO DISCS (they do demand all capital letters, don’t they?) 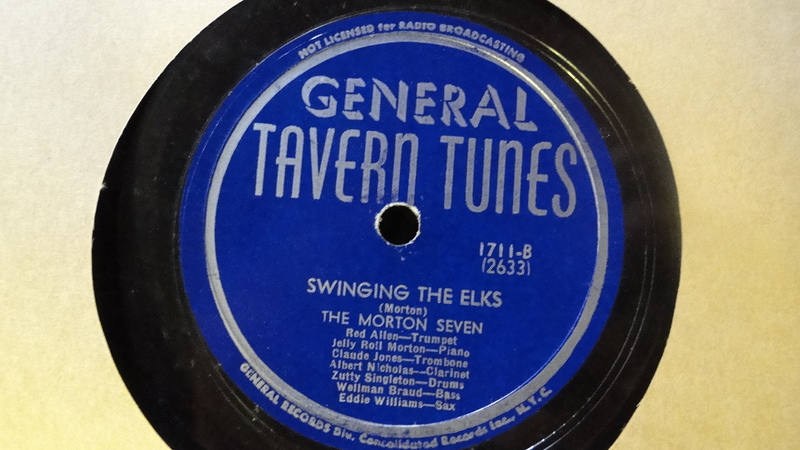 on my phonograph, I will surely let the JAZZ LIVES readership know . . . we live in hope!